Bunion surgery is performed to repair a bunion. 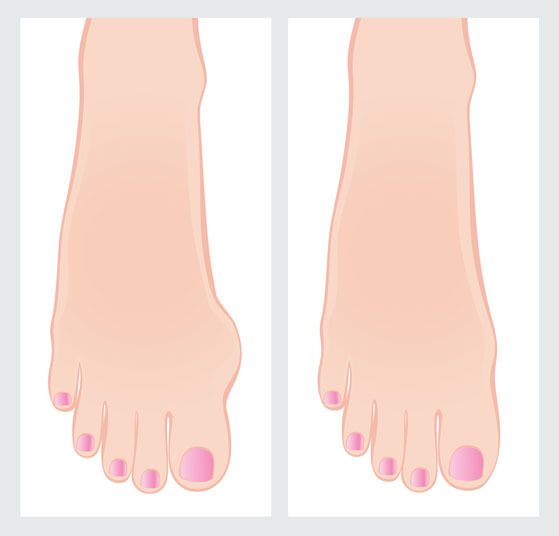 Bunions are bony bumps that develop on the base of the big toe. Bunion surgery is utilized for patients who have a painful bunion or a foot deformity. It is also used when the bunion has not responded to other treatment methods and is making it difficult for the patient to wear shoes or to perform normal activities, like walk. Non-surgical alternatives to bunion surgery include custom foot orthotics (specially designed shoe inserts), wearing a toe splint, or taking anti-inflammatory pain medications. There are no comparable surgical alternatives to bunion surgery. Bunion surgery is performed with a local anesthesia known as an ankle block, so that the entire foot and ankle area is numb during the procedure. Potential complications of bunion surgery include nerve damage, swelling, bleeding and infection. It is also possible for patients to experience only minor improvements in pain or to need to use a walking need for a period of time following the procedure. The prognosis for a positive end result following bunion surgery is good, but patients need to wear properly fitting shoes to keep the problem from resurfacing. 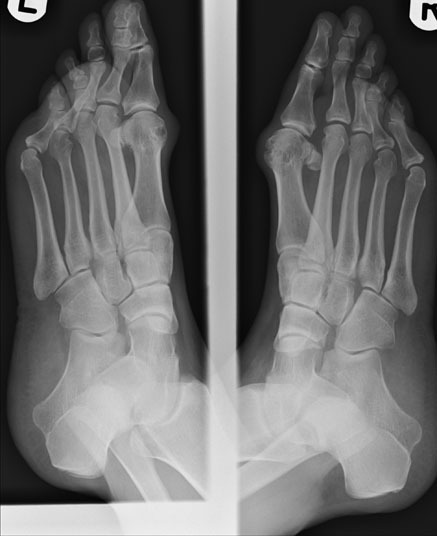 The total recovery time for bunion surgery is six to eight weeks.